All public elementary, middle, and high schools in Maui Electric’s service territory on Maui, Lāna‘i and Moloka‘i recently received new, intelligent, energy-monitoring devices and software like this one at ʻĪao Intermediate School in Wailuku, through a unique collaboration among Stem Inc., a California-based leader in software-driven energy storage; Hawaiian Electric Companies; Energy Excelerator and the Hawai‘i Department of Education. Stem photo. 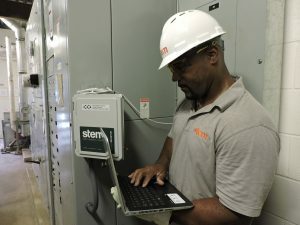 All public elementary, middle and high schools in the Hawaiian Electric Companies’ service territory are receiving new, intelligent, energy-monitoring devices and software through a unique collaboration among Stem Inc., a California-based leader in software-driven energy storage; Hawaiian Electric Companies; Energy Excelerator and the Hawai‘i Department of Education. As more public schools add classroom cooling, solar power, efficient lighting and other energy efficiency equipment, balancing costs and energy use become increasingly critical. It will require active monitoring and management of high-use devices like air-conditioning systems. Stem’s high-resolution PowerMonitors will collect and transmit real-time energy use and cost data through its associated PowerScope software. Individual schools and DOE energy managers will be able to access this new level of energy data through PowerScope’s interactive web-supported applications on laptops, tablets and smart phones to adapt efficiency measures and uncover savings opportunities at each school site. 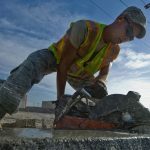 Installation at all public schools on Maui, Lānaʻi, Moloka‘i and Hawai‘i Island has been completed; O‘ahu public schools are expected to be complete in the first week of July. Support for installation of energy monitoring equipment comes in part from HECOs’ Smart Power for Schools (formerly Sun Power for Schools) program, funded by donations from customers and the utility. 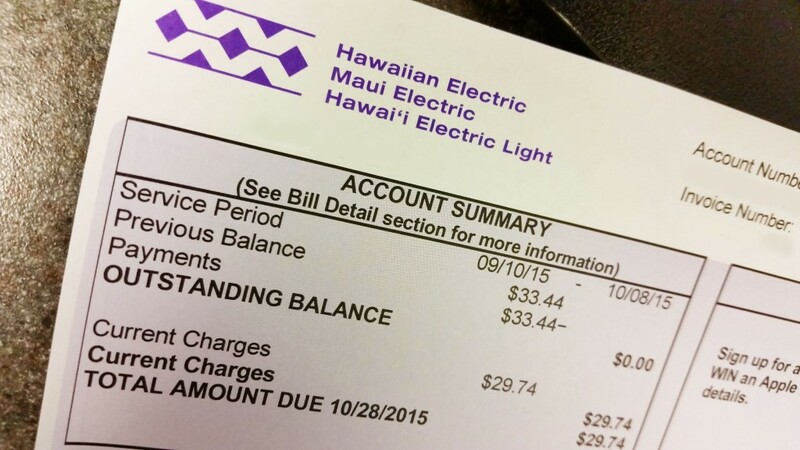 Hawaiian Electric will also have access to data from these energy systems to more effectively assist customers and help manage grid operations across the five islands. 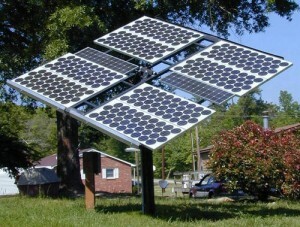 The collaboration is part of a larger PowerScope Deployment Program offered by Hawaiian Electric to help up to 400 commercial and industrial customers monitor and manage energy use and make wise alternative energy decisions, including selection and right-sizing of PV solar or energy storage systems. Commercial and industrial customers (including private schools) interested in participating should contact their Hawaiian Electric commercial account representative for more information. 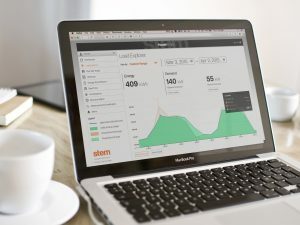 This marks Stem’s first expansion beyond intelligent energy storage to provide monitoring and management software as a service for utilities and their customers. 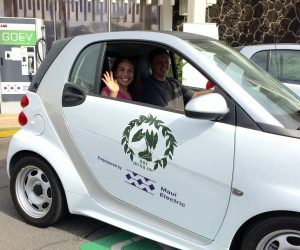 The collaboration is also supported by the Hawai‘i Energy Excelerator, a program of the Pacific International Center for High Technology Research. Last year, Hawaiian Electric and Stem announced another first-of-its-kind collaborative project through the Energy Excelerator to install 1 MW of customer-sited intelligent energy storage on O‘ahu to provide additional grid response capability to deal with the variability of solar generation and help customers reduce electricity bills. For more information about Stem, visit www.stem.com. 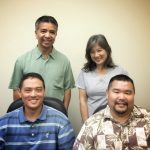 For more information about HECO, visit www.hawaiianelectric.com. 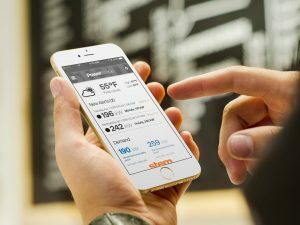 Stem PowerScope-Alerts on an iPhone. Stem photo. 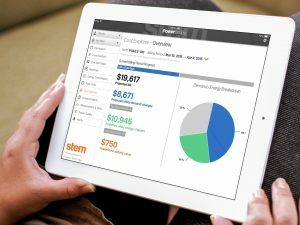 Stem PowerScope Cost-Explorer on an iPad. Stem photo. Stem PowerScope Load Explorer on a laptop. Stem photo.